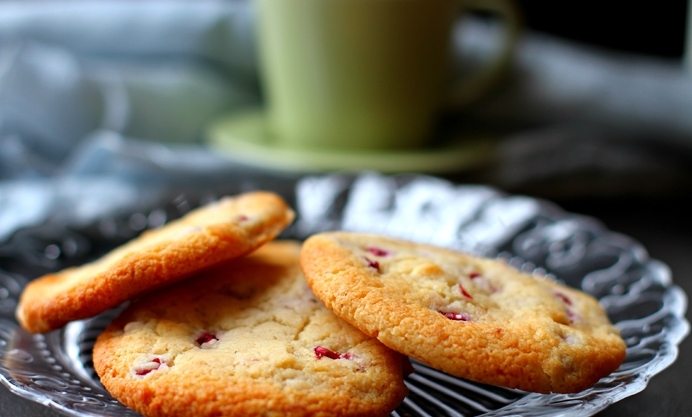 Deena's jewel-like and gently rose scented cookies make a quick, yet colourful treat for your loved one this Valentine's Day. Romantic food should smell sweetly of flowers, shouldn’t it. It should also release inner sighs and offer cuddles, right? 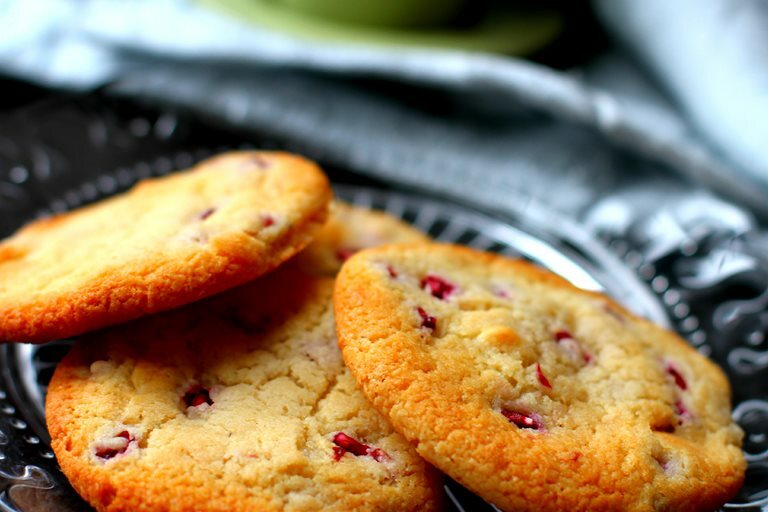 Well here we have it; Pomegranate, rose and white chocolate cookies. The jewels from the fruit remain crisp and are even more potent, tart and sweet. The rose comes through gently, and the white chocolate, well… it's chocolate. They are eggless, so I have used condensed milk which always give me a feeling of Indian barfi (sweets) but here they let the cookies stay moist and crumbly. These are so much better than shop bought my friends, and they are pretty quick to make. You will also need a small ice-cream scoop for this recipe.